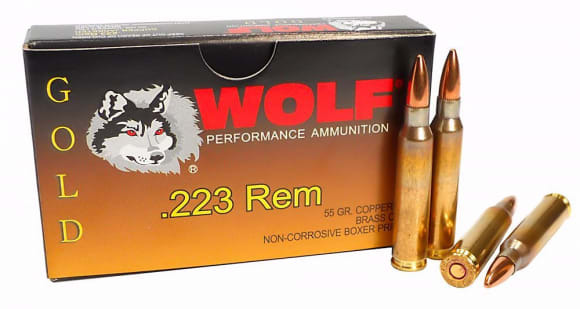 Wolf Gold .223 Remington 1000 round Case 55 Grain, FMJ, Non-Corrosive,Boxer Primed, Reloadable. New production ammo that features a 55 Grain Full Metal Jacket bullet. 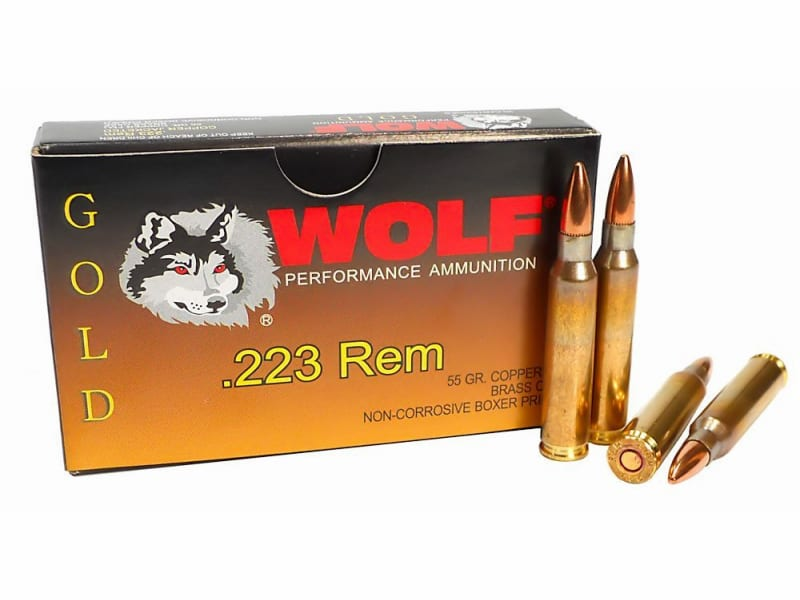 223 Remington by Wolf Gold ammo is reloadable, features brass cases and Boxer primers. Imported by Wolf, Made in Taiwan.